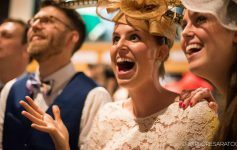 Track season is finally here – enjoy a hat contest, craft beer and food samples, a Bets Lounge, a Bets Squad, new amenities, giveaways, and of course the exciting racing, all happening this weekend at the Saratoga Race Track. On Friday through Sunday, July 22nd to 24th the track is featuring new events and old favorites for this season along with upgraded amenities. 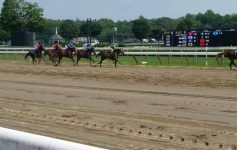 Guests can expect to see five graded stakes, including the traditional Grade 3 Schuylerville for two-year-old fillies on Opening Day and the Grade 2 Lake George for three-year-old fillies on the turf. Gates opened at 11am on Friday, with the first race post time at 1pm. Grandstand admission is $5, and clubhouse admission is $8. All fans on Opening Day will receive a scratch off ticket with paid admission, with an opportunity to win a number of prizes. Prizes include $100 betting vouchers; NYRA merchandise; vouchers for concessions, program books, general admission, and parking. Also on Opening Day fans can take advantage of Taste NY: Craft Beer, happening on Fridays throughout the meet, where you can purchase a sample of five New York State craft beers for $5 – this is taking place at the Saratoga Pavilion from noon to 5pm. The meet’s first Grade 1 event on Saturday will be the Diana, which is for older fillies and mares on the turf. The Diana will share the card with the Grade 3 Sanford for two-year-olds. Also on Saturday, fans can visit the brand new NYRA Bets Lounge in the Saratoga Pavilion, where racing professionals will be available to answer questions – there will also be a champagne bar and Lifestyles clothing boutique. The Bets Squad, newly introduced by NYRA, will be available to educate new and existing fans on wagering, the program books, and how to use a self-service betting terminal. The Bets Squad will be available on Saturdays, and they’ll be hanging out in gazebos in the upper grandstand and outside the paddock entrance throughout the meet. Private sessions can be scheduled. 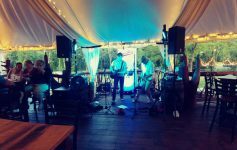 The Hats Off to Saratoga Festival will be going on both Friday and Saturday evenings from 7pm to 11pm with free live music along Broadway in downtown Saratoga. On Sunday, patrons can see the Grade 1 Coaching Club American Oaks for three-year-old fillies. The purse for the Coaching Club will increase to $500,000 from $300,000 contingent upon Songbird, the 2015 Breeders’ Cup Juvenile Fillies Champion, starting in the race. 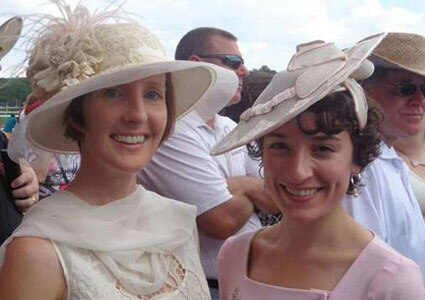 NYRA continues its millinery tradition with the 25th Annual Hat Contest on Sunday, with three categories: Uniquely Saratoga, Fashionably Saratoga, and Kreative Kids; Kreative Kids is restricted to those 18 and younger. Registration for the hat contest is at noon under the grandstand. Hundreds of contestants are expected to participate. Hats will be judged after the second, third, and fourth races on the track apron. First place winner for both the Uniquely Saratoga and Fashionably Saratoga categories will receive a $100 gift certificate to Hatsational by DEI; second place winners will get a $50 gift certificate, and third place a $25 gift certificate. The season’s first giveaway, a Saratoga baseball cap, will take place on Sunday. For the first time, season pass and season ticket plan holders will be guaranteed a premium giveaway item if they redeem it by 3:00pm and utilize the designated line at each entry gate. All other track patrons will receive a free giveaway item with each paid admission while supplies last. Also on Sunday will be the Taste NY: Food and Artisans, where guests can sample food and crafts in the Saratoga Pavilion – like Taste NY: Craft Beer, this event will be happening weekly. Patrons who attend Opening Weekend will be happy to see a number of upgrades, including a better viewing experience. Three new high-definition video boards are located near the paddock, Fourstardave Sports Bar, and the main gate off Union Avenue; two of these video boards have been expanded by 25 feet. The Saratoga Walk of Fame has a new interactive digital display which allows users to watch replays from each running of the Travers Stakes and Whitney Handicap as far back as 1973. More than 850 trees have been planted on the property, and 100 picnic tables have been added. Additionally, a new escalator leading from the Clubhouse to the backyard has been constructed, along with a newly designed horse path from the paddock to the main track. The hospitality area above Fourstardave, formerly known as the Upper Carousel, is now called The Easy Goer, and features a new copper roof that replaced the former awning. Finally, there is a new Travers Bar featuring Moet & Chandon champagne on the Clubhouse porch. Opening Weekend looks to be a fun-filled, exciting time at the track, with a preview of all the great races, events, and amenities we can expect throughout the rest of the season.